Wa mek dem a wies moni, Mis? Aks eni praimeri skuul pikni ina Jamieka – bwoi ar gorl – fi ansa di kweschan dem pon di egzam piepa wa di Praim Minista set fi di komishana dem. Di fos ting di pikni uda se a dis: “Dem doan nuo di ansa dem, Mis? Ii, Mis? Wa mek dem a wies moni fi aks dem de kweschan? Dem no kuda tek di moni fiks op som a di skuul dem? Mis, mek mii tel dem! Yu si, Dudus, Mis. Im a wan big, big dan ina di Praim Minista kanstichuensi. Yes, Mis. Big, big, big! An im av nof moni. Mi no nuo we im get di moni fram, Mis. Bot iz nof, nof, nof, nof moni. An, Mis, im gi out plenti moni tu di piipl dem ina di kanstichuensi. Muor dan di Praim Minista. Yes, Mis, wan a mi fren mada get huol hiip a moni fran im.
. Tingz a gwaan gud yu nuo, Mis. So til wan die, Obama sen mechiz tu govament se im waan Dudus kom a Merika fi taak tu im. Im waan nuo we Dudus get di huol hiip a moni. If a sel im a sel jogs an gon. An fi wi govament gi Dudus di mechiz. Mis, Dudus se im naa go. Obama tuu faas! We im waan nuo im bizniz fa? Dudus taak tu im MP. Yes, Mis. Entaim yu ina chrobl, Mis, yu ha fi go taak tu yu MP. Yu MP mos an boun fi elp yu. Yu vuot fi im. An im ha fi luk aafta yu. Ar yu naa vuot fi im agen. An yu naa gi im no moni fi ron ilekshan. Wa yu se, Mis? Yes, Mis, somtaim di MP iz a uman. Laik Sista P.
Dudus taak tu im MP. Dat a Bruce Golding, Mis, di Praim Minista. 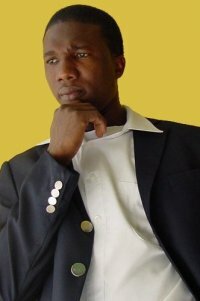 An Bruce an dem oda wan ina di Jamieka Lieba Paati mek up dem main se dem naa sen Dudus go gi Obama. Dem get wan big-taim laaya, Misa Brady, fi taak to som ada big-taim laaya ina Merika – dem niem Manatt, Phelps an Phillips – fi fain out ou dem fi priti it op an tel Obama, gwe! An, Mis, a so it a gwaan. 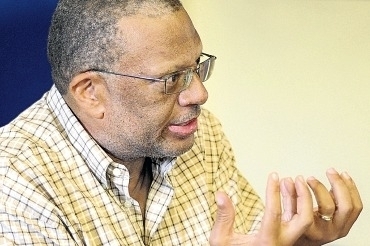 Peter Phillips im, dem se im a CIA, Mis, a im bos di stuori bout Manatt ina paaliment. Yes, Mis. An di Praim Minista se notn no go so. Peter Phillips neva res so til di Praim Minista ha fi admit se a im did tel Misa Brady fi taak tu Manatt. Bot, Mis, im se im did tel im fi tel Manatt se a di JLP dem a wok fa, no di govament. Huol hiip a piipl staat baal out se di Praim Minista tuu lai. Im fi rizain. Im go pan TV an im baal di livin ai waata an se im sari. An som a di piipl dem sari fi im, Mis, an gi im a chaans. An im neva rizain. Im wiil an kom agen. Likl, likl oda tingz staat kom out we mek it luk laik se di Praim Minista neva tel di huol a di chruut wen im did a baal pan TV. A no di Praim Minista wan, Mis. Plenti a di hai ops ina govament, dem miks op ina di miks-op an blenda. It luk bad ii, Mis! 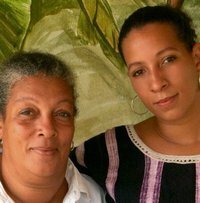 Cassidy had had lots of experience in the field, particularly from working with Robert LePage on the superb Dictionary of Jamaican English. Using the proper technical terms, he laid out the writing system for Jamaican in the dictionary which was first published in 1967. Here’s my amateur version of the system. In the first column is the symbol of the sound; in the second column, I use the Cassidy spelling for Jamaican; and in the third column, I illustrate the pronunciation of the words using English spellings of roughly equivalent sounds. Mi go Hellshire weh day an mi find some a di yute dem mi did a fret bout inna last week column, “Weh di eligible man dem deh?” Di one dem weh suppose fi ready fi go a university, but dem no qualify. 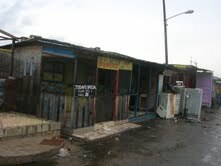 So mi a sidong inna Aunt Merle shop a enjoy mi fry fish an bammy. An mi decide fi fast wid some yute who did a lyme side-a mi. Talk bout lyme, mi ha fi congratulate LIME fi di lovely job dem a do. Dem a fix up some a di bruck-down hut dem pon di beach. Yu fi see how dem pretty! Mi surprise so til. Di beach a look like Barbados! It come een like Oistins, one fishing village inna Christ Church, weh tourist an yardie go fi cool out pon a Friday night. Every time mi go a Barbados mi seh Jamaica shoulda try fi be lickle bit more like Barbados; and Barbados shoulda try fi be lickle bit more like Jamaica. Barbados so nice fi visit. But mi kudn live deh. It too organize. Officially. Pon di down low, dat is a next story. LIME a brandish new lyrics, ‘Portmore, for sure.’ An a so dem a fix up Naggo Head bus park tu. Mi kyaan believe it! Mi did ha fi meet Scheed Cole. Im a di mastermind weh plan out how fi fix up Hellshire an Naggo Head. Im artistic yu see! Candace Clunie, one young woman who work pon im team, a she introduce mi to im. She a one talented architect an a artist. Mi meet her a work hard-hard pon di beach job. Di yute dem mi talk to a Hellshire no come from no middle-class background. Dem belongs to di ‘working-class’ weh naa work. No work no pudong fi dem deh people. Dem ha fi a scuffle fi mek work fi demself. One a di yute dem run a gym inna im yard. Im look buff, yu see. Im naa mek no money right now, but im know seh time longer dan rope. Plenty a di yute dem dida light up dem spliff so dem was in a good mood. Dem humour me when mi aks dem one-one, ‘Yu still inna school or yu a work?’ All a dem seh mi coulda write down weh dem seh but mi no fi call dem name. Not Teddy. Im definitely did waan mi talk up di tings. Im gi mi im boasy business card weh a bawl out inna big, bright letter: TEDDY’S PLUMBING SERVICE, 24-HOUR SERVICE for all your plumbing needs. Phone 855-8617. Teddy live inna Woodford Park an im seh im business a gwaan good-good. Im was a prentice wid a experience plumber, an den im branch out. A so im come fi find out seh reading a no one a dem subject inna school weh yu ha fi put up wid. Is a passport fi carry yu inna one brand new world. So Teddy just log on. Lyrically speaking; an fi real. Email gi im plenty problem fi di first. When im fren dem a aks im a how im a tek so long fi answer dem email, im ha fi admit seh im no know how fi spell some a di word. Im gwaan lickle-lickle so til im ketch i.
Chruu mi waan know a how di language dem a run jostle one anodder, mi aks Teddy wa language im use pon di computer. Im seh if im a talk to im fren dem im talk patwa. If im a talk to dem odder one a farin, im talk inna English. Teddy no ha no problem fi deal wid di two language dem. Im a no like some a dem teacher weh refuse fi accept seh a two language wi talk inna fi wi country. Seet deh. Teddy have nuff more sense dan Peter weh aks one ‘cute’ question pon Gleaner blog bout mi talk weh mi gi a Freiburg University: ‘Did you lecture the Germans in Jamaican patois?’ [‘Yu did talk to di German dem inna Jamaica patwa?’] Di German dem a tek fi language more serious dan some a wi. Andrea Moll, one graduate student a Freiburg, she a do one Ph.D. bout writing pon di Internet. An she a study how fi language write pon www.jamaicans.com. Mi no know a when fi wi teacher dem a go admit seh a one wicked ting fi diss pikni heart language an a try teach dem inna one next language weh di poor pikni dem no understand. 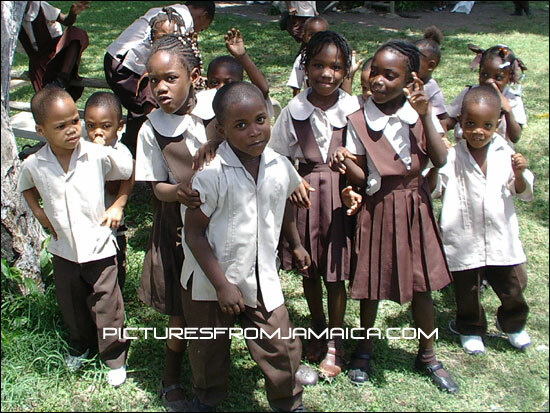 A dem deh eedyat business a mek di bwoy pikni dem naa do so good inna school. Di girl dem wi try work wid di programme. But di bwoy dem dis gi up. 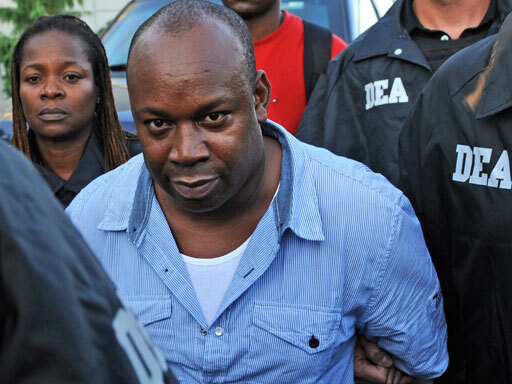 Mi bet yu anyting if di bwoy pikni dem, all like Teddy, did learn fi read an write inna fi dem owna language, Jamaican, dem woulda never ha no problem fi learn fi read. An from dem learn how fi read fi dem language, dem a go learn fi read English same way. On a recent visit to Hellshire beach, I found some of the elusive young men I was worrying about in last week’s column, “Where are the eligible men?” Those young men who ought to be prepared for tertiary education, but are not. As I sat in Aunt Merle’s shop enjoying my fried fish and bammy, I struck up a conversation with a group of young men who were lyming close by. 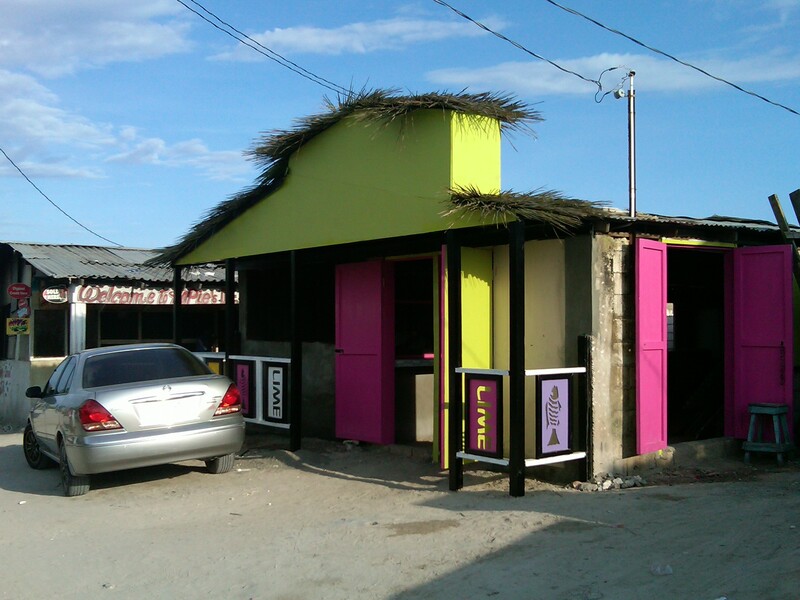 And talking of lyme, I must congratulate LIME on the fantastic job they’re doing to transform some of the ramshackle huts on the beach into elegant, thatch-roofed shops. My amazed response to the upgrading was, “What a way the place look like Barbados!” I was reminded of Oistins, a fishing village in Christ Church that’s a popular Friday night hangout for both locals and tourists. Every time I go to Barbados I think that Jamaica should try to be a bit more like Barbados; and Barbados should try to be a bit more like Jamaica. Barbados is so nice to visit. But I just couldn’t live there. It’s much too orderly on the surface. Underground, that’s a whole other story. 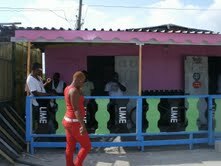 With its new marketing line, ‘Portmore, for sure,’ LIME is also rehabilitating the Naggo Head bus park. What a transformation! I made it my business to meet Scheed Cole, the mastermind behind both the Hellshire and Naggo Head artistic projects. I was introduced to him by a member of his design team, the talented architect and fine artist Candace Clunie, whom I met hard at work on the beach. The young men I spoke to at Hellshire don’t come from a middle-class background. They are part of that large group of supposedly ‘working-class’ people who simply can’t find ready-made work. They have to be scuffling to create jobs for themselves. One of them, who looks quite buff, runs a home-based gym. He’s not making money yet, but he’s optimistic. He gave me his business card which proudly announces in bold letters: TEDDY’S PLUMBING SERVICE, 24-HOUR SERVICE for all your plumbing needs. Phone 855-8617. Teddy, who lives in Woodford Park, says he’s doing quite well in his own business. He apprenticed with an experienced plumber then branched out. Suddenly, reading was no longer an unpleasant subject to be endured in school. It was an essential passport to an exciting new world. So Teddy just logged on, literally and metaphorically. Doing email was a challenge at first. When his friends asked how he was taking so long to answer their emails, he had to confess that he couldn’t spell some of the words. Bit by bit, he got the hang of it. Naturally, with my interest in language politics, I asked Teddy which language he uses on the computer. He says if he’s talking to his friends he uses patwa but if he’s talking to foreigners he uses English. Unlike many Jamaican educators who simply refuse to accept the fact that we are bilingual, Teddy is completely at ease with the idea of living in two languages. On that score, Teddy is far more sensible than Peter who asked a ‘cute’ question on the Gleaner’s blog about my talk at Freiburg University: ‘Did you lecture the Germans in Jamaican patois?’ The Germans are taking our language far more seriously than some of us are. Andrea Moll, a graduate student at Freiburg, is doing a Ph.D. dissertation on computer-mediated communication, focussing on data downloaded from www.jamaicans.com. I don’t know how long it’s going to take our educators to acknowledge the fact that there’s something fundamentally wrong about ‘dissing’ a child’s mother tongue and trying, instead, to teach in an unfamiliar language. This folly is the root of the problem of male underachievement. Girls, who tend to be more patient learners, will try to work with the system. Boys will just give up. I’d bet my last dollar that if young men like Teddy were taught literacy in their mother tongue, Jamaican, they would have no problems learning to read. Their literacy skills could then be transferred to their second language, English. This week I didn’t have the time to translate my Sunday Gleaner column into Jamaican (Where are the Eligible Men?). The memorial service for my friend, Dawn Scott, was held on Saturday and I wrote a remembrance for her. Traditional African wisdom tells us that when a great spirit passes the elements take notice. So we all acknowledged the torrential rain as a sign of Dawn’s extraordinary powers. The L’ACADCO drummers and dances performed a brilliant work, “Passion,” celebrating Dawn’s passage to join the ancestors. Artistic director and principal choreographer, L’Antoinette Stines, reclaimed ancient pelvic movements, that have resurfaced in Jamaican dancehall culture, to signify regeneration. I will fly away home. One of my most vivid images of Dawn is seeing her dressed for work purposefully heading down Wellington Drive on her way to Ann Hodge’s Kingston 10 Architects office on Lady Musgrave Road. Dawn’s uniform was her sturdy boots, well-worn jeans, loose-fitting cotton shirt, a string of beads and her bag slung over her left shoulder. Kazzi perceptively elaborated: Dawn’s bag was a sign of her nomadism. And no matter how much she wandered, her bag, like a tent, provided shelter – both psychological and literal. And I finally understood the full weight of the burdens Dawn carried on her shoulder. Dawn knew that wherever her wanderings took her each day, when she set her head down to rest she would have with her the basics for her trod through creation; I use creation here both in the sense of her own creativity; and in the generic, biblically-derived Rastafari sense of the word – creation as the natural world and all that it contains. Every now and then I would be privy to some of the contents of the seemingly bottomless bag. On occasion, I’ve seen Dawn triumphantly pull hardback art books out of this bag to illustrate a point she was making about aesthetics. Or she would take out her formidable mask to hurriedly protect herself from the merest whiff of environmental fumes. There is an equally memorable image I have of Dawn, dressed not for work, but to party. Usually in full black or full white or, for really special occasions, in glorious indigo, Dawn would step out in regal splendour bedecked in rows of amber almost as weighty as her shoulder bag. 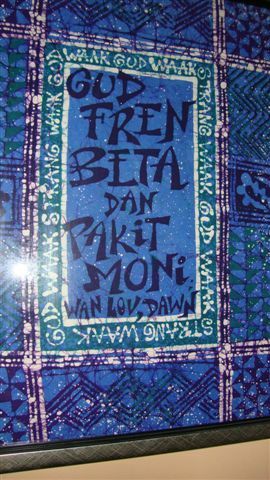 When Dawn and I went to DC for the launch at the Jamaican embassy of my first book, the cover of which was enhanced by Dawn’s batik painting, “Plastic Instincts,” we stayed with my sister, Donnette. When we saw Dawn pull out her bag of jewellery, wi nearly dead wid laugh. Wi say, “Dawn, where yu going wid so much jewellery?” She just laughed and said she wanted to have choice. And she certainly had some choice pieces. Unfortunately, in later life, Dawn became reclusive, sacrificing the pleasures of socialising for the sake of her health. She was allergic to the carcinogenic chemicals that so often masquerade as perfumes. Knowing how much Dawn missed socialising in comfort, I hosted an unscented birthday party for her a couple of years ago. No one was allowed past the gate who was wearing ‘perfume’ in any way, shape, form or guise: no sweety-sweety shampoo, conditioner, soap, body lotion, cologne, perfume. No clothes washed in high-smelling soap powder or bearing the lingering traces of deadly dry-cleaning solvent. But, of course, all of Dawn’s guests respected the health code and she had a grand time. Thanks to Dawn, I live in a reasonably healthy house. All of the household cleaning products I now use conform, as much as possible, to Dawn’s exacting standards. My laundry detergent is unscented and though it’s quite expensive I also use it to clean the terrazzo tiles. Dawn had an illuminating book that revealed all of the harmful contents of every single commercial household product. I can’t remember the exact title. 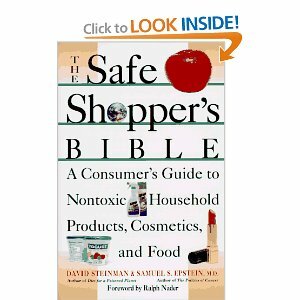 It just might be The Safe Shopper’s Bible: A Consumer’s Guide to Nontoxic Household Products, Cosmetics and Food, co-authored by David Steinman and Samuel Epstein, which I found on Amazon.com. These days, when I go into the supermarket, I literally turn up my nose at the run-of-the-mill household products that are brandishing on the shelves – to use a clever dancehall verb I first heard DJ Shabba Ranks draw. Dangerous chemicals claim to be ‘natural’ by being branded in the deceptively metaphorical language of fruit, essence and breeze. I learned to comply with Dawn’s directives. Not just for the sake of my own health. I never knew when Dawn would imperiously announce that she would be coming to stay with me. Like another famous houseguest, Ras Dizzy, Dawn would arrive for a few days and, before you knew it, she would have spent a good few months. Only some carefully dropped words would make her pull down her tent. But Dawn’s extended visits had their distinctive pleasures. Dawn was a gourmet cook who was generous with her recipes. I learnt to cook exotic dishes, thanks to Dawn. Her baked fish was legendary. I have now mistressed the art and science of that dish and I willingly share the recipe with delighted guests. The key ingredient is garam masala. Then there was Dawn’s pumpkin rice seasoned with the unusual galangal, an Indonesian relative of our much more common ginger. As for Dawn’s tofu in peanut butter sauce; it would make the most anti-tofu sceptic a complete believer. And Dawn’s homemade salad dressing, so easy to concoct, put a zing in the most basic mix of greens. Right at the end, add a sprig of basil. Enjoy! The balance to Dawn’s nomadic life was her unrelenting quest to buy a piece of land and put up a little house where she could settle her body, mind and soul. The closest she came to this dream was the time she lived in Portland in a beautifully situated house that she’d rented. There Dawn engaged in activities like pollinating flowers by hand. She wasn’t leaving it up to bees. On that score, Dawn remains the most knowledgeable person I have ever met. Dawn read widely and deeply. I used to tell her that what she knows is worth several PhDs. In Portland, Dawn spread out, finding space for her books, her art supplies and her wide range of specialist cooking utensils. I must tell you about one of Dawn’s absolutely unforgettable parties at her home in Portland. She’d invited us for lunch and long past three o’clock there was no sign of food, except for tantalising smells. Dawn was holed up in the kitchen cooking each dish serially, it must have been, and refusing to let anyone enter her domain. To be honest, there were quite a few uninvited guests who, knowing Dawn’s reputation for extraordinary cuisine, had brazenly appeared out of the blue. I don’t know if it was to spite them that Dawn was taking her time with the meal, hoping they would give up and leave. But we, the legitimate guests, were dying of hunger. So I decided to courageously storm the kitchen and asked for reinforcements. I clearly remember Donna McFarlane volunteering to come in with me. To much protestation from Dawn, we rushed the door and told her in no uncertain terms that this was dyam foolishness and we were coming in to help her. She relented and in about another hour or so we settled down to a sumptuous meal that included delicacies like heart of palm. Certainly not from a can but lovingly harvested in the neighbourhood by Dawn. Dawn could be so stubborn on even life-threatening matters and we sometimes ended up in big quarrels. There is an African proverb from the Nupe people that says it so well, “Even the tongue and the teeth quarrel now and then.” In the last months of her life we had fierce quarrels about her staying at St. Joseph’s hospital. It was I who had gotten her in there in the first place because that’s where the orthopaedic surgeon I’d found operated. I felt obligated to get Dawn out alive. St. Joseph’s is like a once-beautiful woman who has fallen on very hard times and who stubbornly refuses to acknowledge her graceless decline. Dawn insisted that she had to have a private room, a luxury that was not readily available at either the University Hospital of the West Indies or the Kingston Public Hospital. Her fear of chemical contamination was intense. So I asked her if the potential damage could be as great as what I considered to be the actual compromised care she was getting at the ‘hospital.’ She was adamant and refused to budge. I haven’t come to terms with the fact that Dawn is gone. I still expect to see her striding down Wellington Drive. I know her wanderings are over. But mi wish she was still here so she could fight lickle more to get her owna piece of ground. There is a West African proverb that can console us all: you never truly die ‘til no one remembers you. Dawn, we will always remember. In this bilingual blog, Jamaica Woman Tongue, I translate into Jamaican the column I write each week in English for the Sunday Gleaner. On the rare occasions that I write for the newspaper in Jamaican, I’ll translate the column into English. Earlier this year, I wrote a column, “Reading and Writhing,” in which I focused on the difficulties many Jamaicans have reading Jamaican. I reproduce that column in this post. I hope that by reading this blog regularly many Jamaicans will become literate in our mother tongue. I plan to expose readers to the specialist writing system for the Jamaican language developed by the linguist Frederick Cassidy and refined by the Jamaican Language Unit at the University of the West Indies, Mona, Jamaica, headed by Professor Hubert Devonish. My chaka-chaka system is based on the disorderly ‘conventions’ of English spelling. At first, some readers will find it easier to read than the specialist writing system. Once you become familiar with the custom-made system, I bet you’ll change your mind. Is long time now mi sight seh yu ha fi send pikni go a church regular fi gi dem protection gainst all kind a bogus religion dem mighta pick up when dem grow big. Is like yu ha fi a vaccinate dem soul. Pikni weh no get injection naa go able fi put up resistance. Dem a go end up a join all sort a spirit cult. From dem a go ‘church’ – no matter which one – dem a go build up dem immune system. If yu a lickle pikni, an big people tell yu Bible story bout good angel weh live inna heaven an bad angel weh live inna hell, yu naa go tink notn bout dem mek-up Hollywood flim dem weh a deal wid out-a-space creature. From yu get yu injection, yu naa go see no flying saucer. Yu naa go get no night vision. Yu just cool wid yu regular church runnings. Unfortunately, di vaccination fi yu body not so reliable like di one fi yu soul. Last August, di Rastafari Millennium Council put on one symposium an mi learn someting weh surprise mi. Some Rasta very sceptikle bout vaccination. An dem feel seh govament a persecute dem. Rasta pikni kyaan go a govament school if dem no vaccinate. Rasta inna good company pon disya issue. George Bernard Shaw, one Irishman weh write nuff play, im never mek fun fi talk im mind. Im seh yu might as cheap aks a butcher if ital food have any use if yu a go aks a doctor if vaccination a good sinting. Dis joke woulda sweet Rasta cau yu done know dem defen ital livity. Yu see dis must-an-bound vaccination business. It cause nuff contention. Some people a gwaan like seh a di god truth seh vaccination a go save pikni from get sick. But a nex set a people just doan sing dat deh Sankey. Tek for instance Rick Rollins. Im a one American weh kip up big fight gainst vaccination. Im claims seh a di measle, mumps and rubella (MMR) vaccination mek im pikni turn bafan. Same like Mr. Shaw, Mr. Rollins im come up wid a good piece a lyrics fi fight down di don gorgon dem. Im seh if yu a go aks di public health authority fi investigate if vaccination have anyting fi do wid bafanism, den yu might as well aks di tobacco company dem fi investigate if smoking have anyting fi do wid lung cancer. If it no go so . . . Even di medical doctor dem a talk out bout vaccination. Dr. Robert Mendelsohn write two cantankerous book, Confessions of a Medical Heretic an How to Raise a Healthy Child . . . In Spite of Your Doctor. Im mek a point bout di money-making side a vaccination: If a pikni-doctor shoulda talk out gainst vaccination an box bread outa a nex doctor mouth, it woulda come een like seh Father a admit seh di pope can mek mistake. Facts is facts. Di doctor dem gwaan like dem join Lodge. An if yu not a member, yu naa no chat. Yu kyaan challenge di doctor dem. Dem tek up fi one another. If yu convince seh vaccination no good fi yu pikni, dem mek yu feel like seh yu no know weh yu a talk bout. If yu seh, ‘if it no go so, it nearly go so,’ dem seh yu a eedyat. An di high an mighty doctor dem turn gainst any doubting Thomas weh raise question bout di effect a nuff vaccination, one top a one, pon di lickle baby dem. Rasta no ha notn gainst immunisation. Wat dem tink is dat di doctor dem shoulda put emphasis pon natural protection. Rasta claims seh di evidence di deh fi support di argument dat breastfeeding gi protection gainst nuff disease all like meningitis, whooping cough, tetanus an polio. A vaccination a di problem. An when yu see weh di word come from, yu do understand di shituation. A animal product use fi mek di vaccine dem. Vaccination come from Latin ‘vacca’. Dat mean cow. Yes. Di fos vaccine develop from cowpox virus. So a how Rasta get round di problem a must-an-bound vaccination? Wa dem do is put dem pikni inna private school. Dem deh school no so strict bout vaccination like di government school dem. But dis no suit plenty parents cau dem just kyaan afford di big school fee. Fifty year aback, University College of the West Indies (UCWI) did publish di Report on the Rastafari Movement in Kingston, Jamaica. Arthur Lewis, di principal, did send a letter to di Premier, Norman Manley. Im warn im seh di movement large, an trouble dis a bubble. Rasta problem supposen fi get priority treatment. To tell di truth, inna di 1960’s yu done know seh some suspish old people mighta well an did waan find one vaccine fi immunise dem pikni gainst Rasta. All yu a hear a di dread lamention, ‘Guess who turn Rasta?’ And yu turn Rasta inna Jamaican, not English. From yu start turn to Africa dat mean yu no civilise again. Yu turn savage. An from yu a locks, dat directly mean seh yu head an yu tongue knot up-knot up. Inna dem ya time, dreadlocks a style an fashion. 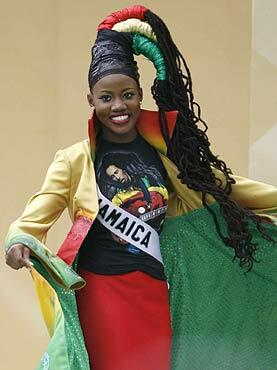 Yu coulda seet pon Zahra Redwood, Miss Jamaica Universe fi 2008. She just royal. She never come een high like Yendi Phillips inna di international competition. But still for all, di whole a Jamaica proud a her. She show di world seh her knotty head beautiful kyaan done: inside an outside. Ministry a Education shoulda gi priority treatment to di case a must-an-bound vaccination a Rasta pikni. After all, pikni entitle to education, same like how govament a seh dem entitle to vaccination. Rasta no suppose fi ha fi a choose between education an health fi dem pikni. Dat deh wicked choice shoulda bite di whole a wi conscience. I’ve long come to the conclusion that regular injections of religion in early childhood provide excellent immunisation against spiritual infection in later life. Unprotected children become vulnerable adults who are easily seduced into joining all sorts of weird cults. Going to ‘church’ – whatever the religion – builds up your immune system. If you grow up with sacred stories about good and bad angels who live in heaven and hell respectively, you’re not likely to get carried away by fictional Hollywood films about extra-terrestrial beings. Religiously inoculated adults don’t tend to see flying saucers. You’ve been saved from night visions by repeated injections of ‘ordinary’ faith. Unfortunately, earthly vaccination is not always as reliable as the heavenly kind. Last August, the Rastafari Millennium Council put on a symposium at which I learnt a startling fact. Some Rastafari are quite sceptical about the presumed value of medical vaccination. And they feel persecuted by inflexible government policies that prevent unvaccinated children from attending state-run schools. Compulsory vaccination is quite a contentious matter. Although the practice of vaccination is now accepted as gospel, there are non-believers who question its power to save. The American lobbyist Rick Rollins blames the combined measles, mumps and rubella (MMR) vaccination for his son’s autism. Indeed, the medical profession is a lot like a Masonic Lodge. It’s a secret society that excludes the uninitiated. So doctors often close ranks against ordinary citizens who challenge the authority of the experts. Parents who have reservations about vaccinating their children are made to feel like conspiracy theorists. Turncoat doctors who express doubt about the safety of giving numerous vaccinations in quick succession to young children are cast out of the fold. Rastafari don’t object to immunisation on principle. Instead, they believe that more emphasis should be placed on natural means. They argue that there is good evidence to support the claim that breastfeeding provides protection against a range of diseases such as meningitis, whooping cough, tetanus and polio. It’s vaccination that’s the problem. The origin of the word confirms one of the major objections: the use of products derived from animals. Vaccination comes from the Latin word ‘vacca’, meaning cow. In fact, the first vaccine was developed from the cowpox virus. So how do Rastafari get around the problem of compulsory vaccination? One solution is enrolling children in private schools that tend to be less rigid about compliance than government institutions. But this not a viable solution for many parents who simply cannot afford the high school fees. It is true that in the 1960’s suspicious parents might have wished for a vaccine to immunise their children against the seductions of Rastafari. The dreaded lament, ‘Guess who turn Rasta?’ was a frequent cry. And you became Rasta in Jamaican, not English. Turning to Africa meant that you had turned away from civilisation to savagery. Dreadlocks were a clear sign of knots in the head and the tongue. These days, dreadlocks make a beautiful fashion statement, as was demonstrated with such elegance by Zahra Redwood, Miss Jamaica Universe 2008. She didn’t do nearly as well as Yendi Phillips in the international competition but all of Jamaica is still very proud of her. She showed the world the spectacular beauty of her knotty head: inside and out. Conscientious objection to vaccination ought to be given ‘priority treatment’ by the Ministry of Education. After all, the right to education is as legitimate as the presumed right to vaccination. Parents shouldn’t have to choose between the education and the health of their children. That dilemma should prick our collective conscience. Most Jamaicans can’t easily read and write in our mother tongue. Call it broken English, dialect, patois, patwa, Creole, Jamaican Creole or just plain Jamaican. It doesn’t make a difference. As the poet Mutabaruka puts it so wittily, ‘the language we talk, we can’t write; and the language we write, we can’t talk.’ Some of us just can’t face the Jamaican language on the page. For other readers, the language itself was very much the problem. I’d composed a fictional prayer on behalf of the prime minister, ‘Dear God, is me, Bruce.’ I speculated that, in his moments of repentant anguish, the PM would pour out his heart to God in his mother tongue, not English. And God would have to answer in Jamaican to prove that it’s a divine language. An aggrieved reader responded on the Gleaner’s blog: ‘Why write like this? I started reading and had to stop. I speak Jamaican dialect anytime, anywhere so I don’t have a problem with it. However, it’s not something I want to read in a Gleaner article.’ This reader obviously thinks that the Jamaican language has no business being written down; and certainly not in The Gleaner, a newspaper with pedigree, presumably, unlike that unmentionable, ‘hurry come up’ tabloid. Incidentally, the word ‘pedigree’ has quite ordinary origins. It comes from Middle French, ‘pie de grue,’ meaning ‘foot of the crane.’ The branches of the crane’s foot resemble the spreading lines of genealogical charts. Like the Jamaican expression, ‘crab toe,’ which we use to describe illegible handwriting, the French ‘pedigree’ takes an image from nature to represent the markings of culture. But all of that is simply not true. Jamaican has long been a written language, as illustrated so beautifully in two books edited by the Jamaican linguists Jean D’Costa and Barbara Lalla. Voices in Exile, published in 1989 by the University of Alabama Press, gives examples of written Jamaican from as early as the 18th century. Language in Exile, which appeared a year later, is sub-titled Three Hundred Years of Jamaican Creole. Quite a long time. Furthermore, many so-called ‘ordinary Jamaicans’ actually take pleasure in reading and writing in their mother tongue, as we see on the internet. It is the extraordinary Jamaicans who have trouble with the language. About two decades ago, Morris Cargill wrote a contemptuous newspaper column entitled ‘Corruption of language is no cultural heritage.’ I decided to write a response using the ‘corrupt’ language. Too often, we ‘defend’ Jamaican in English, playing right into the hands of those sceptics who assume that Jamaican is not a language of analytical thought. I decided to use the specialist writing system for the Jamaican language developed by the linguist, Frederick Cassidy. Instead of using the notoriously irregular writing system of English, he designed a phonetic system. Cargill, trained as a lawyer, claimed that he ‘couldn’t make head or tail of the maze of phonetics.’ Mr. Andrew Sewell, the postman in my neighbourhood, whose head was not in his tail, could certainly find his way through the ‘maze.’ It all depends on your politics. Mr. Sewell is a Rastaman who is committed to learning, unlike many supposedly educated people who have no real interest in scholarship. For Mr. Sewell, the Cassidy writing system confirms the fact that Jamaican is a language quite different from English: ‘it full di space of our real African language.’ Better yet: ‘it ful di spies af owa rial Afrikan langgwij.’ Mr. Sewell acknowledges the African pedigree of the Jamaican language. So why is it that so many Jamaicans can’t read and write Jamaican? The answer is quite easy. Our school system has failed us. Because we don’t take Jamaican seriously – it’s seen as a language of brawling entertainment – no effort is made to teach literacy in the mother tongue. Instead, many primary school children struggle to become literate in English, a language they don’t know: reading and writhing in anguish and pain. The Jamaican Language Unit at the University of the West Indies, Mona, led by Professor Hubert Devonish, has taken a giant step on the long journey to prove that bilingual primary school education makes sense. The Unit has translated English textbooks into Jamaican and a select group of primary school students has been taught literacy in both Jamaican and English. The Ministry of Education must now ensure that every single child is given the opportunity to talk and write in both English and Jamaican. The Universal Declaration of Linguistic Rights, signed by UNESCO, affirms that education in one’s mother tongue is a human right. It’s high time we start taking language rights seriously in Jamaica. Chat bout.